Group sessions allow us to both efficiently give our safety lesson and get people on and off the water together at the same time. 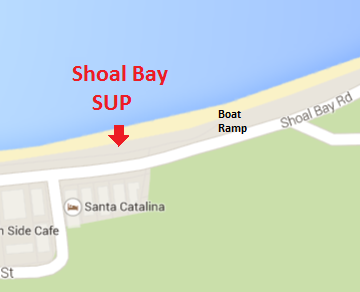 All new paddlers to Shoal Bay SUP have to listen to our 5 minute safety lesson. We cover aspects of safe paddling including. How to paddle and turn. Leaving and returning to the beach. If you are a return visitor and feel like you were an accomplished paddler last time we will only remind you of the paddle zone and the conditions today. Once on the water under most conditions you are free to go where-ever you wish to go in our paddle zone. There is no requirement to stay with the group. You can if you wish , as many do over the summer period use the board as a big sun baking and swimming platform. During this time there is normally one of our instructors on the water to both assist with standing up, paddling technique and taking photos of your day at Shoal Bay SUP. When the conditions are not ideal or changing we will encourage beginner paddlers to stay together and with the instructor. This is for both our peace of mind and your safety. 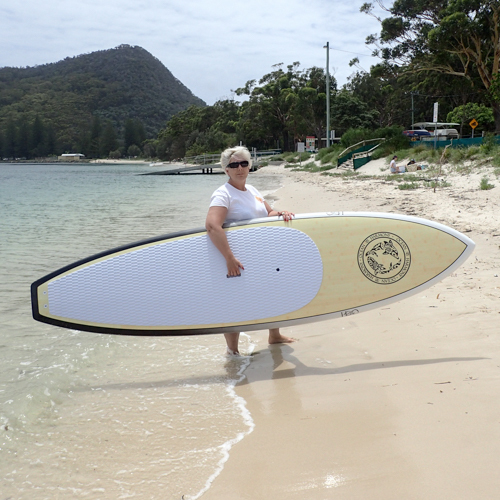 Any questions feel free to email us rod@shoalbaysup.com.au or jay@shoalbaysup.com.au.